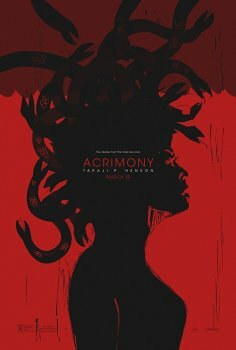 Acrimony - Available as a download or stream? The eighteenth feature film directed by Tyler Perry, “Acrimony”, is a thriller starring Taraji P. Henson as a woman whose psychological stability begins to deteriorate when she discovers that her husband of eighteen years is engaged to be married with someone else. Due to hit theaters at the end of March, the support cast features Lyriq Bent, Tika Sumpter, Ajiona Alexus, and Antonio Madison.